I really thought I'd seen it all when it came to private-public partnerships between health promoting organizations and the food industry, but then I hadn't yet seen the DAISY Foundation/Cinnabon partnership. The DAISY Foundation, established in 1999, is geared to give nurses thanks for the hard work that they do. Apparently they thank them in Cinnabons. Literally. 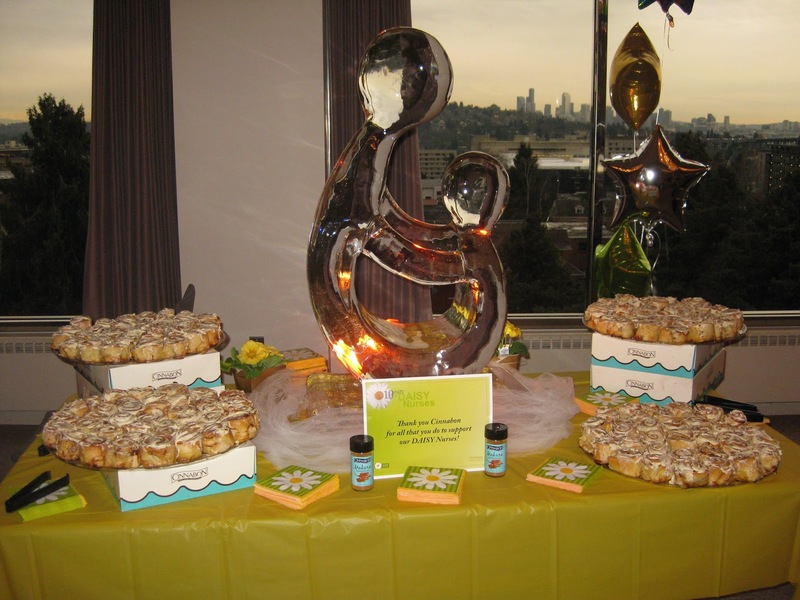 "Cinnabon® has been with us from the beginning, contributing untold thousands of their very delicious cinnamon rolls that are a big part of every DAISY Award presentation. Thanks to the leadership of Cinnabon executives and the generosity of the company's franchise partners, Cinnabon has been DAISY’s Premier Sponsor for over a decade. 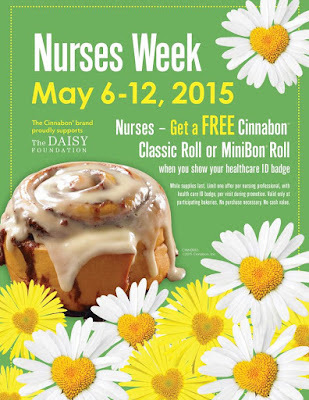 Participating Cinnabon franchise bakeries and the company donate the Cinnabon cinnamon rolls for hospitals in their area, and during Nurses Week, all nurses are invited to enjoy a free Cinnabon cinnamon roll at participating bakeries. We are very proud to have Cinnabon’s involvement and deep support." Each Cinnabon classic roll contains 880 calories and 14.5 teaspoons of sugar. While the story of how and why The DAISY Foundation and Cinnabon partnership came to be is genuinely heart warming, I'm not sure the Foundation is doing nurses a kindness by providing Cinnabon with access to them, and in so doing providing Cinnabon with permission to market and an opportunity to generate tremendous brand loyalty and goodwill, in return for, well, Cinnabons. Nurses are awesome. They're also under-appreciated. And so recognizing them with awards is a great idea, and given that The DAISY Foundation appears to have plenty of corporate partners who contribute something other than sugar-spiked calorie bombs, I wonder whether or not that appreciation could be delivered in a form that wasn't a giant sticky pastry? Something they might want to consider given nurses themselves have identified unhealthy hospital food environments and pressure from colleagues to eat junk as two of the main barriers that challenge their abilities to cultivate healthful lifestyles.